Born in Michigan, Tim's love for animals was apparent to all who knew him. At a young age he worked on a family friend's farm; later transitioning to dairy work (where he milked and raised 250 Holstein cattle). After many cold Michigan winters, Tim decided it was time for a change. 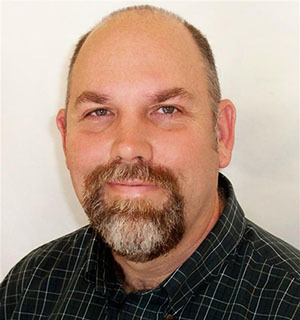 He made the move to sunny Lakeland, FL where he began a 24 year career with a local Veterinary Emergency Hospital. In 2010, Tim partnered with Dr. McDaniel to open Ark Animal Hospital. Tim's animal family includes 2 dogs, 6 cats, and 5 parrots. Mary McDaniel graduated from the University of Florida with a Doctorate in Veterinary Medicine. 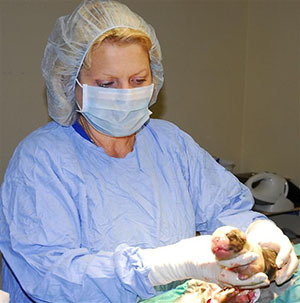 She has a special interest in reproduction and is active in the show dog community. Mary was named the "Show Vet" for the 2012 AKC/Eukanuba National Championship which takes place in Orlando mid-December. Dr. Rodgers grew up in South Florida and was part of the dog show world. She moved north to attend veterinary school at Mississippi State University. After she completed her DVM she spent some time practicing medicine in the surrounding area. She returned to Florida to join the Ark family! She is constantly humbled by her three Nova Scotia Duck Tolling Retrievers- Pumpkin, Prada and Rex, as well as her mini zebu bull "Moo" and cat "Meow". Dr. Rodgers is also the show veterinarian for the 2016 AKC National Championship presented by Royal Canin.